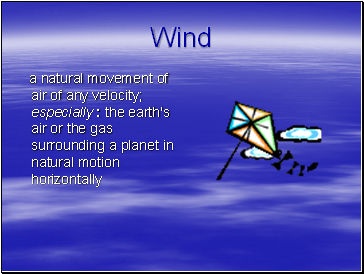 Refers to the state of the atmosphere at a specific time and place. 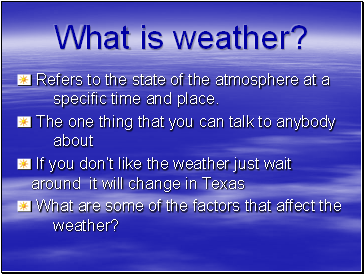 What are some of the factors that affect the weather? 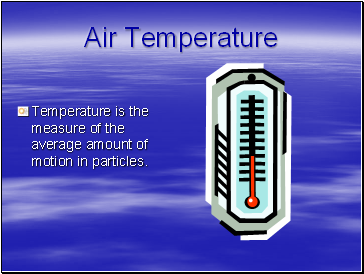 Temperature is the measure of the average amount of motion in particles. 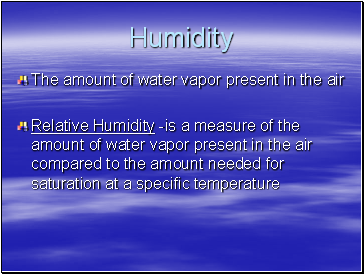 Masses of small water droplets or tiny ice crystals that float in the air. 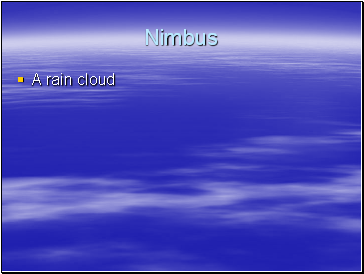 Three main types are cirrus, cumulus, and stratus. 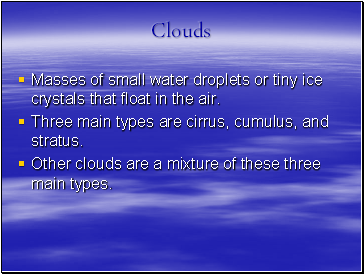 Other clouds are a mixture of these three main types. 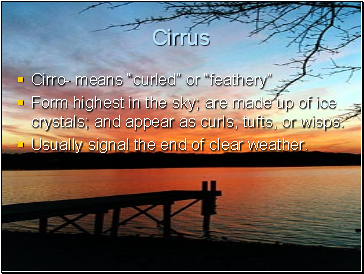 Form highest in the sky; are made up of ice crystals; and appear as curls, tufts, or wisps. Usually signal the end of clear weather. 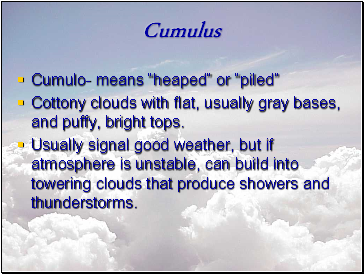 Cottony clouds with flat, usually gray bases, and puffy, bright tops. 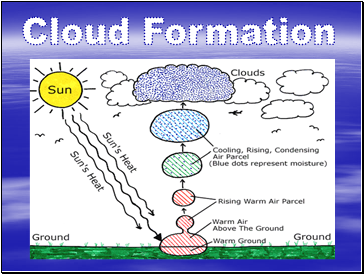 Usually signal good weather, but if atmosphere is unstable, can build into towering clouds that produce showers and thunderstorms. 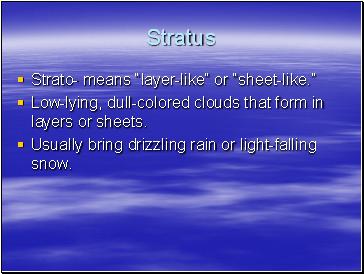 Low-lying, dull-colored clouds that form in layers or sheets. 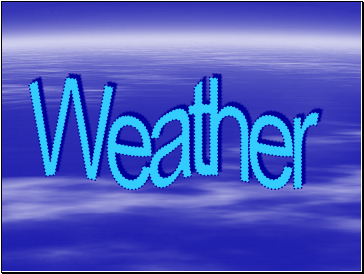 Usually bring drizzling rain or light-falling snow. 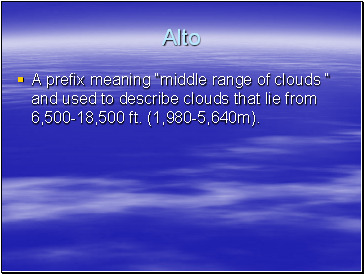 A prefix meaning “middle range of clouds “ and used to describe clouds that lie from 6,500-18,500 ft. (1,980-5,640m).